In Bangladesh the pharmaceutical sector is one of the most developed hi-tech sectors which are contributing in the country’s economy. After the promulgation of Drug Control Ordinance – 1982, the development of this sector was accelerated. The professional knowledge, thoughts and innovative ideas of the pharmacists working in this sector are the key factors for these developments. Due to recent development of this sector it is exporting medicines to global market including European market. This sector is also providing 97% of the total medicine requirement of the local market. Leading pharmaceutical companies are expanding their business with the aim to expand export market. Recently few new industries have been established with high tech equipments and professionals which will enhance the strength of this sector. 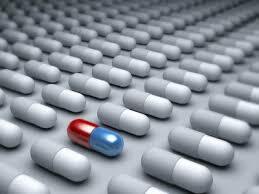 Rangs Pharmaceuticals Ltd is one of the leading Companies in Pharmaceuticals sector. After all necessary arrangements it launched its production on 2004 with 12 products which were mainly antibiotic and anti ulcerants. There after it did not look back. At present it manufactures 120 important products. Tablet manufacturing unit one of the most important unit in the production area of a pharmaceutical company. Tablet can be defined as a solid pharmaceutical dosage form containing active drug substances and excepients & prepared either by compression or molding method (according to NF). In Rangs pharmaceuticals Ltd, solid section is the biggest section of all. Solid section provides about 70% of the total turn over per year. By this way this unit plays a vital role in the financial aspects of the company. Dispensing means to supply materials to the production area by proper weighing according to the relevant document and release it from the raw materials store. Weighed raw materials from warehouse are also rechecked here. The process, by which the primary active ingredients and excepients powder particles are made to adhere to form larger multi particles, is called granulation. In Rangs Pharmaceutical only wet granulation and direct compression are done. Blending is the process of uniformly mixing the ingredients so that each tablet contains the unit amount of dosage. The process of forming tablets in desired shapes compressing by sufficient pressure. A layer of a substance spread on the surface of the core tablet. Sugar coating was popular in past but it has many drawbacks. Modern tablet coating is polymer and polysaccharide based, with plasticizers and pigments included. In Rangs pharmaceuticals only film and enteric coating is performed. Derived from the diminutive of the Latin word “capsa” meaning “box”, a capsule is literally “a little box” and can refer to any encompassing structure or small container. In Rangs Pharma powder are encapsulated with the help of semi automatic feeling machine and liquid is encapsulated with automatic capsule filling machine. Station having two parts upper plate and lower plate with negative air pressure collect shell from shell channel where cap remain at the top and body remain at the bottom. In this section pellets are encapsulated with the help of semi automatic filling machine. It is a new technology that Rangs Pharmaceuticals has incorporated to product Licap. Only 3 companies at this moment manufacturing this product. Rangs Pharmaceuticals is one of those. This product is also very effective. 200 mg (as alpha-Tocopheryl Acetate BP). E-Gold manufacturing is done by automatic capsule filling and banding machine. The terminal stage of the production is packaging. This is the terminal stage at which a finished product gets a shape for marketing purpose. Proper packaging maintains the integrity of the pharmaceuticals. It should preserves drug efficacy as well as its purity, identity, potency and quality for its entire shelf life. The selection of package therefore begins with the determination of the product’s physico-chemical properties, its protective needs and marketing requirements. Only Blister packing is done in this section. Usually tablets and most of the capsules is blister packed in this case, at first the PVC/PVDC /Aluminum foil is heated by heating plate. The packets are produced by the air pressure and immediately cooled. At the next stage tablets/capsules are filled into the pockets are pockets and the aluminum foil is sealed over the PVC/PVDC/ALU film by heating. Finally the blister pack cut into suitable size. Liquid preparations are solution containing one or more chemical substances dissolved in a suitable solvent or mixture of muyually miscible solvent. Syrups are concentrated aqueous preparations of a sugar substitute with or without flavoring agents and medicinal substances. Syrups provide a pleasant means of administering a liquid form of a disagreeable- testing drug. The Sugar, usually sucrose, or sugar substitute used for sweetness and viscosity. After QC passed the sample, start filling and sealing. Suspension is the process of preparing homogenous two phase system in which the internal or dispersed phase is solid and the external or continuous phase is liquid. Finely powder any ingredients not already in fine powder. Adding first the ingredients of smallest bulk and diluting it with others increases order of bulk, using amount equal to the bulk already in the mortar. Add enough vehicles to produce a smooth paste. Add, in small amounts, any non volatile solid ingredients, dissolved in part of the vehicle, and mix well. If necessary, dilute with the vehicle until pourable. Before use, rinse the fabric with a little vehicle to detouch loose fibers. Strain into the tared bottle. Add any volatile solid ingredients, previously dissolved in some of the vehicle, and mix well. Add any liquid ingredients, rinse the measures and mix well after each edition. Rinse the mortar and pestle with successive volumes of vehicle until they are quite clean, transferring the rinsing to the bottle. Make up to volume with the vehicle and shake thoroughly. Then the sample is given to the QC for test. In Rangs Pharmaceuticals Parenteral products are prepared as sterile product. As Parenteral products are given directly to systemic circulation so sterility is a must. HVAC is an acronym for ‘Heating ventilation and air conditioning’ system and is sometimes referred to as climate control. The system helps to control humidity and temperature of the air within a building and are responsible for maintaining pressure relationships between spaces, ensuring smoke control. HVAC system works, primarily to provide healthy and comfortable interior conditions and are well designed to perform the task with minimal energy consumption and air, water pollutant emissions. Heating: Heating technology makes use of equipments such as a boilers, forced air gas furnace, heat pumps and radiant floor heat to heat the environment or interiors. Cooling: Cooling technology includes equipments such as central and room conditioning, chillers, desiccant dehumidifiers and absorption cooling for various buildings. Air ventilation and quality: This includes using equipments such as variable air volume systems (VAV), Low-pressure-drop ducting design, lowface-velocity air handlers etc for high efficiency air distribution system. A high efficiency particulate air or HEPAfilter is a type of high-efficiency air filter. HEPA filters can remove at least 99.97% of airborne particles 0.3 micrometers (µm) in diameter. Particles of this size are the most difficult to filter and are thus considered the most penetrating particle size (MPPS). Particles that are larger or smaller are filtered with even higher efficiency. Diffusion, an enhancing mechanism is a result of the collision with gas molecules by the smallest particles, especially those below 0.1 µm in diameter, which are thereby impeded and delayed in their path through the filter; this behaviour is similar to Brownian motion and raises the probability that a particle will be stopped by either of the two mechanisms above; it becomes dominant at lower air flow velocities. A dehumidifier reduces the level of humidity in the air, usually for health reasons, as humid air can cause mold and mildew to grow inside homes, which has various health risks. Relative humidity is preferably 30 to 50%. Very high humidity levels are also unpleasant for human beings, can cause condensation . In pharmaceutical industry,dehumudifier is used o control the humidity of the manufacturing area. Air conditioners automatically act as dehumidifiers when they chill the air and thus need to handle the accumulated water as well. Newer window units use the condensing coil and fan to evaporate the accumulated water into the outdoor air, while older units simply allow the water to drip outside. Central air conditioning units need to be connected to a drain. An airflow moving in a single direction and in parallel layers at constant velocity from the beginning to the end of a straight line vector. In Rangs Pharmaceuticals, the filling and sealing of the injectables are done under the laminar air flow to control contamination. One way entry & exit should be maintained. Because there is a possibility of the product to be contaminated. The products are passed via the passbox from one room to another room. This is also very important to maintain the sterility of the product. To make pyrogen free of certain products, 250o c temperature is maintained for about 90 minutes. In moist heat sterilization, 121o c is mainained for 20-25 minutes. The production area is cleaned time to time by isopropyl alcohol. The UV ray is passed over the night-before manufacturing. About 45% humidity and 25o c temperature is maintained in the vial filling room. After filling and sealing, the products are transformed into intermediate store area. Blister packaging is done in the Rangs pharmaceuticals for injectables. Quality Assurance is a wide-ranging concept, which covers all matters that individually and or collectively influence the quality of a product. GMP is that of quality assurance which ensures that, products are consistently producer and controlled to the quality stander appropriate to their intended use and as required by marketing authorization. A product specification this makes it clear that QA in the Generic, wider term. Cleanliness of the area instrument by Physical inspection. Labeling of stripper & inner & outer cartoon. The regulatory process, through which industry measures actual quality performance, compares it with standards and acts on the difference. Quality control is responsible for the day by day control of quality within a company. This department is stuffed with scientist and technicians who assess and assure that entire production process has been completed satisfactorily and satisfied all the aspects of GMP. (A representative from the Q.C. dept. —This is used for product identification & assay. —This is used for product identification. It acts as a comparison with the standard & the sample. Machine : 1. Shimadzu ( IR Prestige-21 ). —This is used for product identification .It concomitantly read the absorbances of standard & sample preparations. Machine : 1. Shimadzu ( UV-1650PC ). -It determines the water content of the sample. -It is used to determine the pH value. —It determines the melting point of the sample. Machine : 1. Gallenkamp (England). —It tests the solubility of the tab in definite medium, which gives the idea of the absorbing of the tablet by human body. -It tests the separation of the particle of sample in a definite medium. 9. Chemical Balance ( Sartorious). 10.Drying oven ( Memmert ). Preparation of B.P.R. for a new product. Pre-formulation study of the active drug and excipient. Collection of raw materials of active drug and excipients. Different trials for development of a stable, effective and active formulation. d) Submission of Inclusion Dossier. e) Final approval for commercial production. Pilot trial and accelerated stability testing. Research and development department also deals with the development of existing product formulation. a) Increasing the quality of the product. b) Prevention of any type of problem existing in the product. c) To save time and cost. d) Increasing the patient acceptance. For non antibiotic store, normal temperature and storage condition is maintained. For antibiotic store, 15-18oc and bellow 50% humidity is maintained. For cool sore, 2-8oc temperature is maintained. FIFO (first in first out) strategy is followed for the release of RM to manufacturing. Although materials are always taken from the approved source, batch no of the renders, manufacturing date, expiry date, etc are checked before entry, complete security & prevention of pilferage of every materials are confirmed. Initially in the ware house, the quality of the product is not checked. Only physical exam is done, which include whether he container is properly sealed. If he staffs mentioned in the invoice are present or not, if the no. of the container are same or not. If the RM complies, approval tag is attached by QC. All the data are uploaded in SAP. From there production we can see and ask according to need. Industrial plant plays a vital role in any industry. Quality product ensures the company’s prospect in order to create loyalty. Rangs Pharmaceuticals is no longer beyond the objective to provide quality product for the target customer. In order to gain the multi national infrastructure, Rangs Pharmaceuticals need to look forward in both in Plant Infrastructure and its proper management.